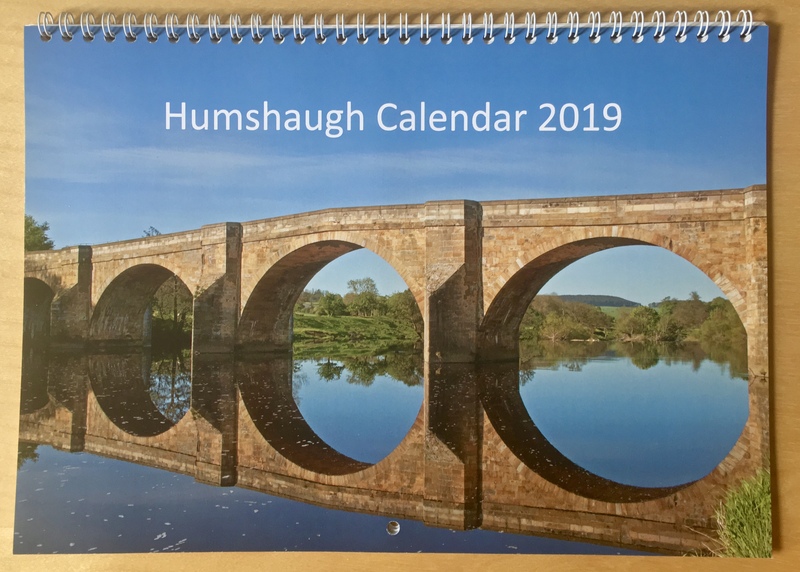 It’s that time of year again when the leaves fall from the trees, the nights draw in and the Humshaugh calendar goes on sale. The 2019 edition is now available from the shop and a lovely calendar it is too – full of local scenes taken by our village’s team of talented, amateur photographers. It’s been produced by Humshaugh Publications, the voluntary group which aims to encourage interest in the written and spoken word through publications, events and workshops. 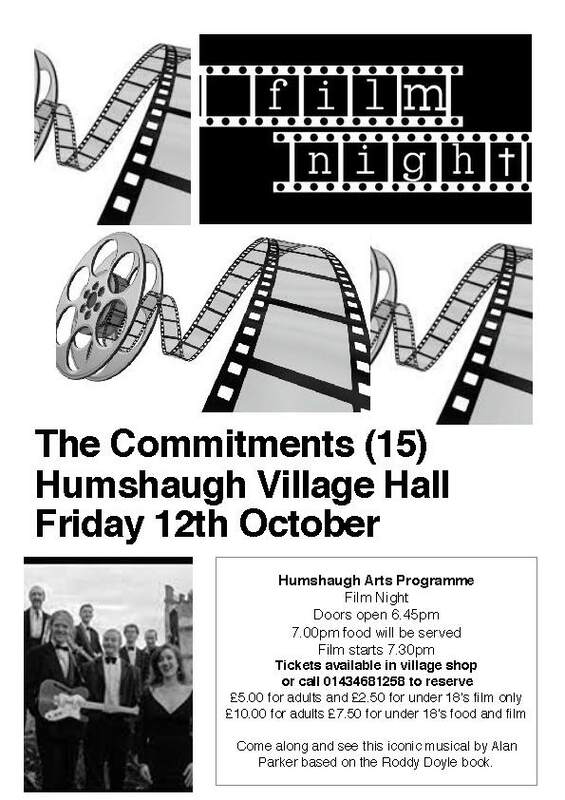 Humshaugh Community Ventures Limited, which runs your village shop, is one of the main supporters, along with Humshaugh Parish Council and the Community Foundation Tyne and Wear and Northumberland. It has been printed by local firm Robson Print. 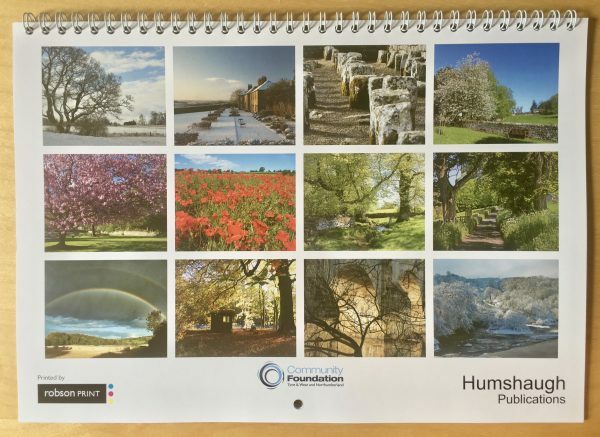 Buy your calendars now for just £5 they’re selling fast. If you need to post them to family and friends, we can even provide a sturdy envelope. 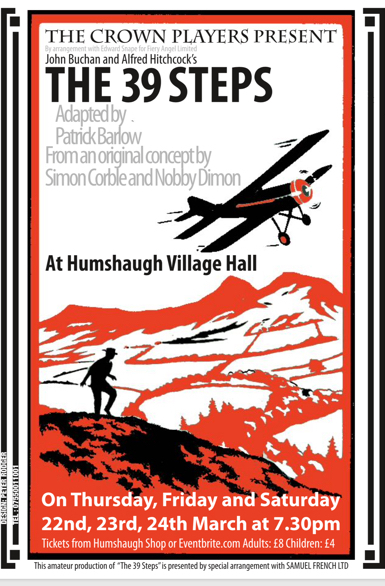 Some villagers may have been approached by young men selling cleaning utensils in a haversack (Usually claiming they have been in prison for assault). It has happened to me. I have had two separate visits over the last few weeks. Both young men put me under pressure to buy something. The first one, a few weeks ago, harassed me and became aggressive when I would not buy something because he did not have any ID. The second one produced an ID document which I found was forged, after I called the police. 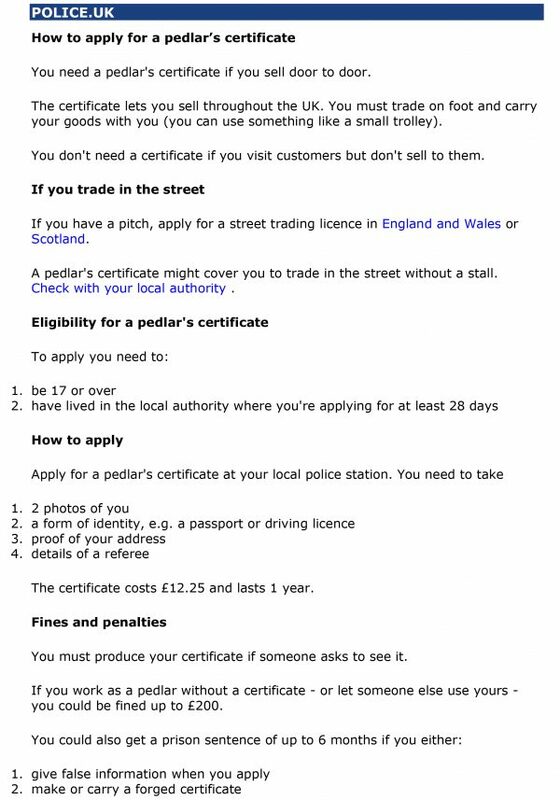 I realised, now, how ignorant I was not knowing the law on pedlars. I have therefore done a little homework. I find they must have a pedlar’s certificate from the police. (See copy below). Humshaugh said farewell to its oldest resident today. John Bradshaw was 101. His funeral and burial were held at St Peter’s Church. John was originally from the North West of England. In 1940 he enlisted into the East Lancashire Regiment and spent most of World War Two with the Royal Signals in India. After the war John married Mildred, who would be his wife for 55 years. As you can see from the pictures, John featured prominently in our village’s fight to save the Post Office, which used to be housed in the shop. 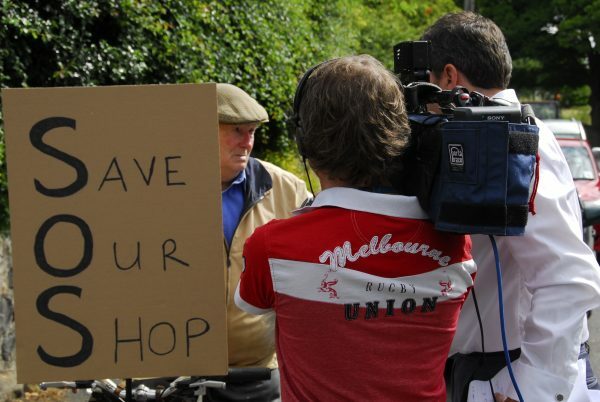 John was a sprightly 92 when he rode his trusty trike in our protest march in August 2008. He was also interviewed by TV news crews from Tyne Tees and BBC Look North about how he would manage if the Post Office closed. 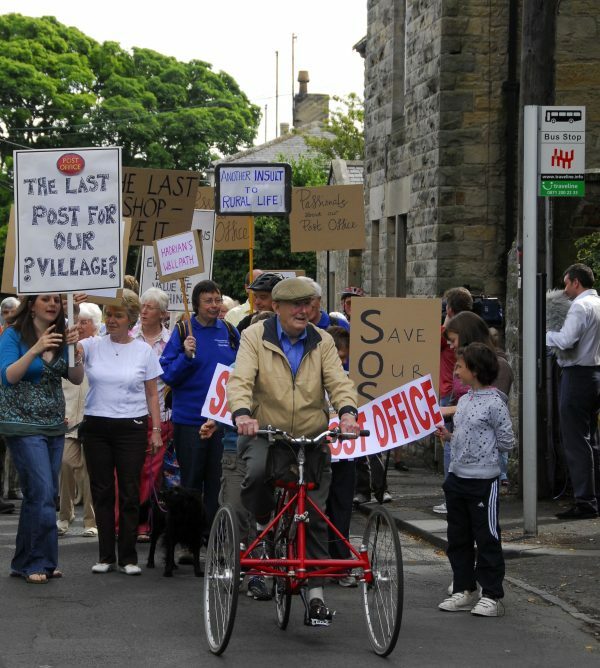 As most of you will know, the Post Office couldn’t be saved but the groundswell of support in that incredible demo nearly 10 years ago enabled us to go on and save the shop by making it into the successful, community-run venture it is today.